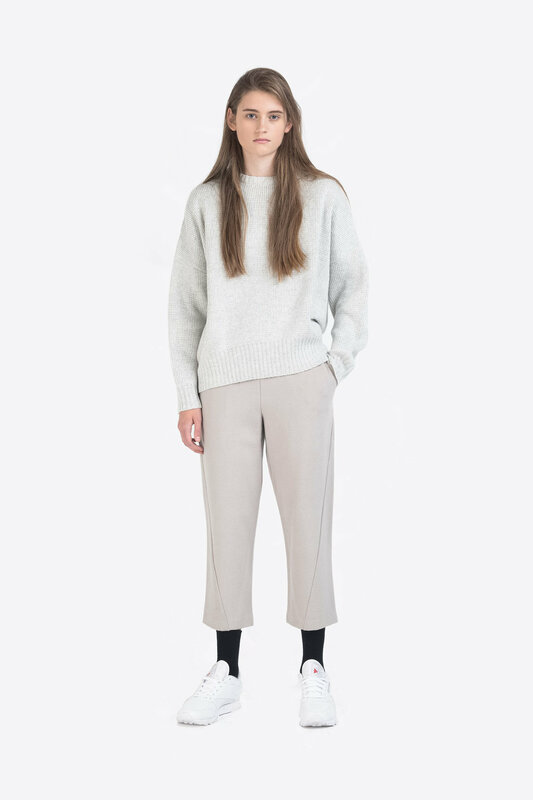 Designed to be worn with everything and anything, these relaxed trousers are composed of a warm, fleece-like fabric with a generous amount of stretch. 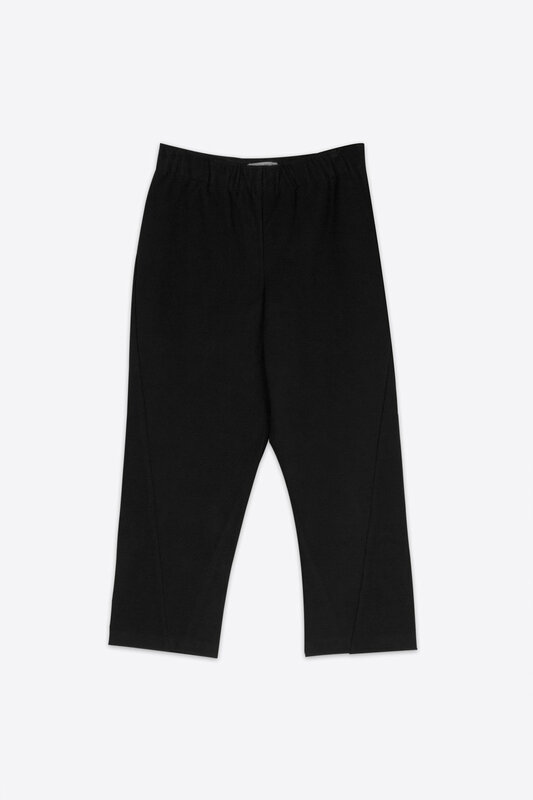 It features a slightly tapered leg with a unique twisted seam, side pockets, and an elastic waistband for optimal comfort. 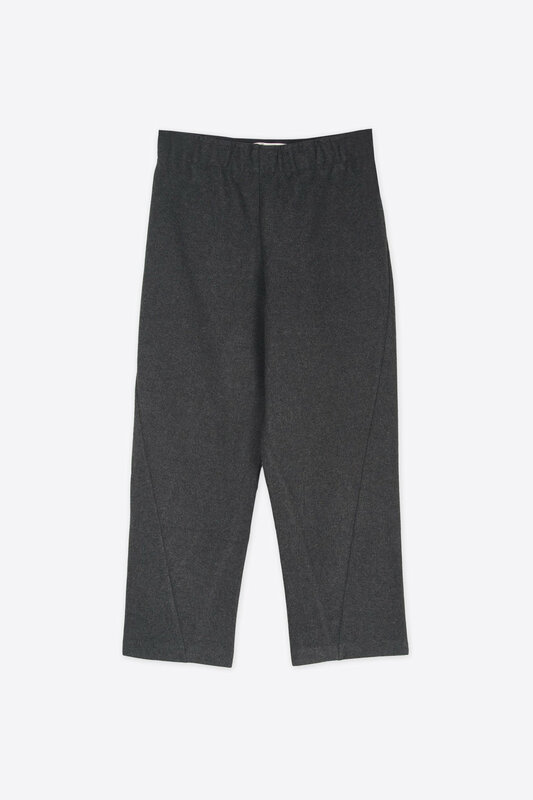 Pair with fresh white sneakers for a casual, everyday look. 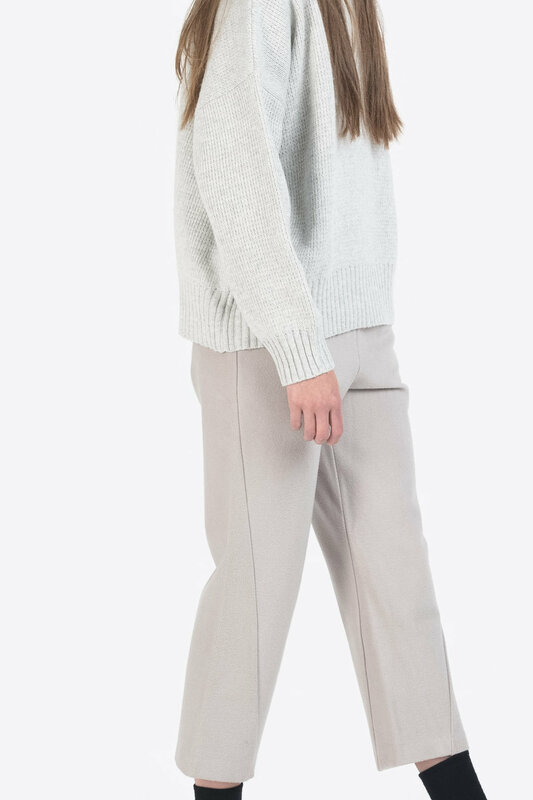 Fit: Relaxed Approximate Measurements: XS: 24.5" waist x 23" inseam S: 26.5" waist x 23" inseam M: 28.5" waist x 23.5" inseam L: 30.5" waist x 23.5" inseam Model wears a size small. Model's height is 5'9".